The Elite Rangers deployed by the alien Covenant are one of the hardest types of enemies to defeat and also have one of the more striking designs. One of the most striking changes made to the Elite race is that this time around their feet were designed much better, with flat soles that actually provide a good contact surface for these massive characters. 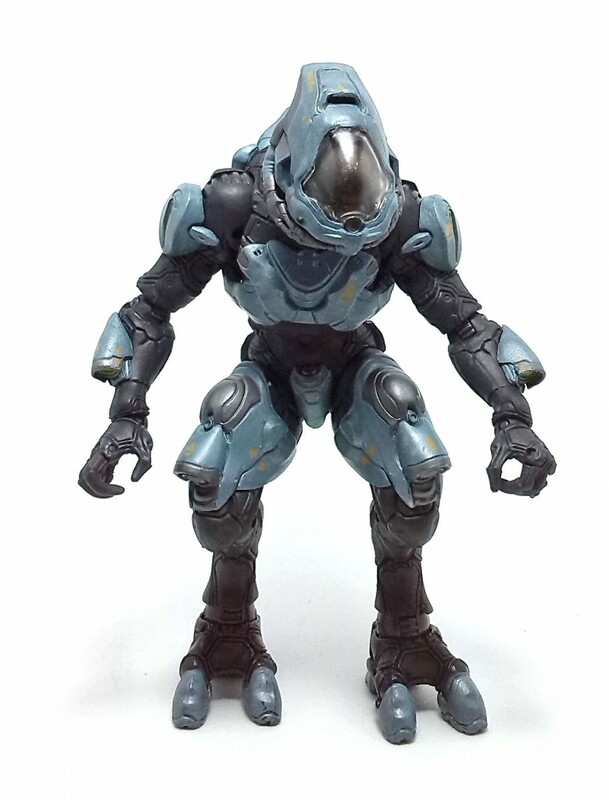 As one would expect, the Halo 4 Elite Ranger is a completely new sculpt, although he retains the characteristic sealed-suit look. 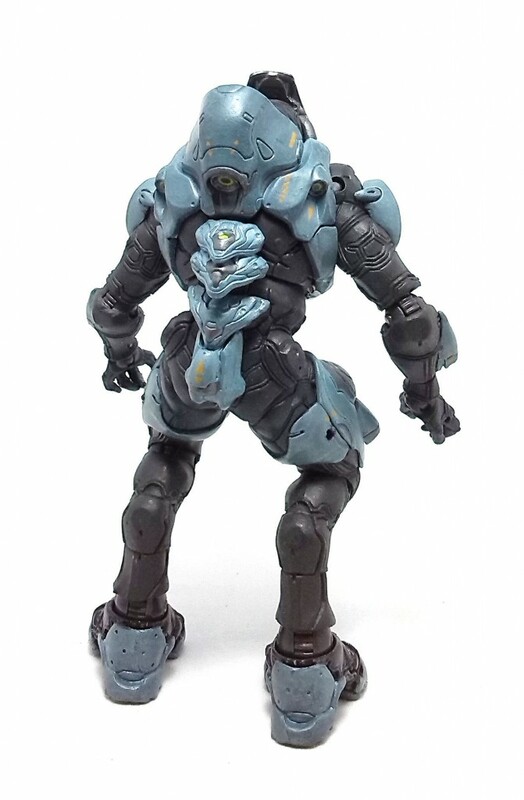 The new suit looks somewhat slimmer, lacking some of the armored plates present in the Halo: Reach version, but this time around it is possible to distinguish more specialized pieces of gear, like directional thrusters sculpted onto the thighs and forearms. The visor on the Ranger’s head is glued shut, but it is possible to glimpse at the alien’s face underneath. 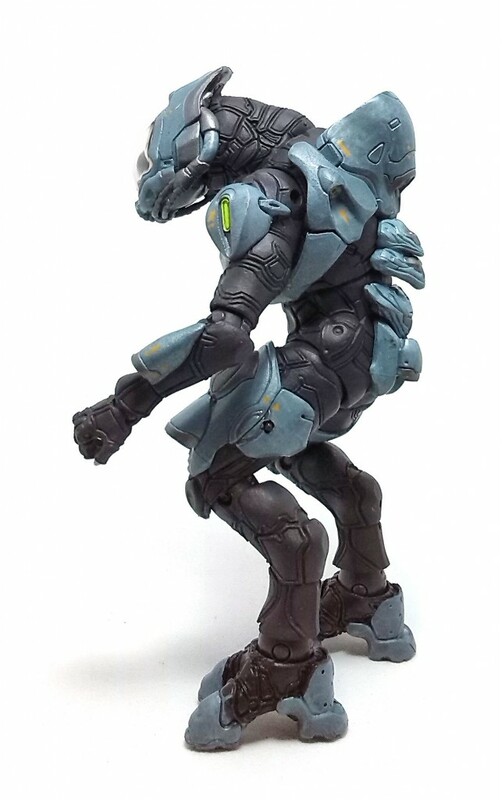 The overall design works much better than it was on the Halo: Reach Ranger thanks to the improved ankles joints, even though the armor design still limits slightly the range of the lower limbs. The paint applications on the Halo 4 Ranger are really nice, with clean, sharp outlines and just a tiny amount of scratches and markings on the hard armor plates. The under-suit is painted entirely in a dull gray hue, which is fine but I would have liked to see more color on the Ranger’s face under the visor. 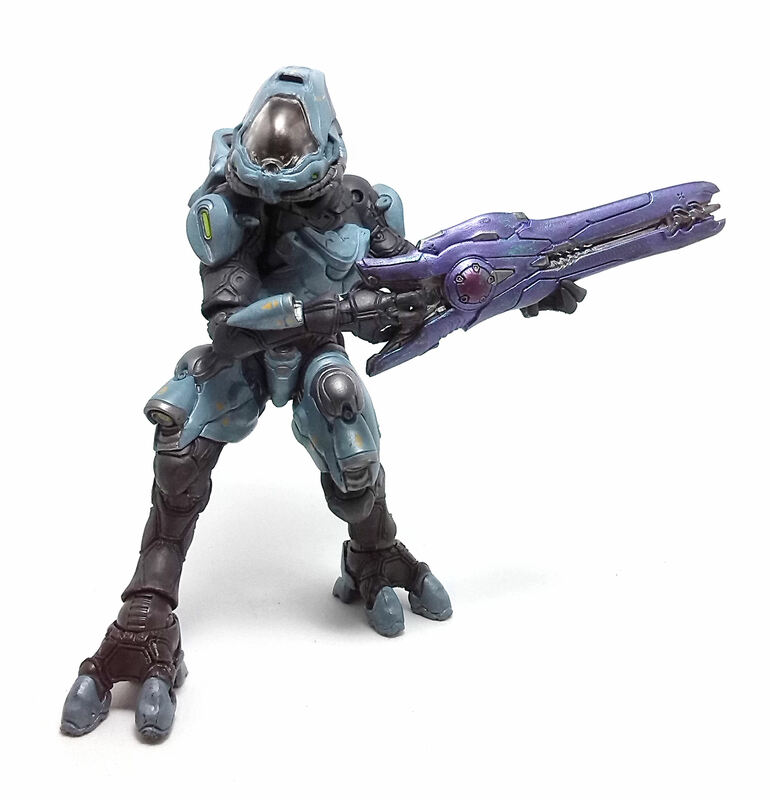 The Elite Ranger comes armed with a Storm Rifle, which is a new weapon developed for the Halo 4 game. 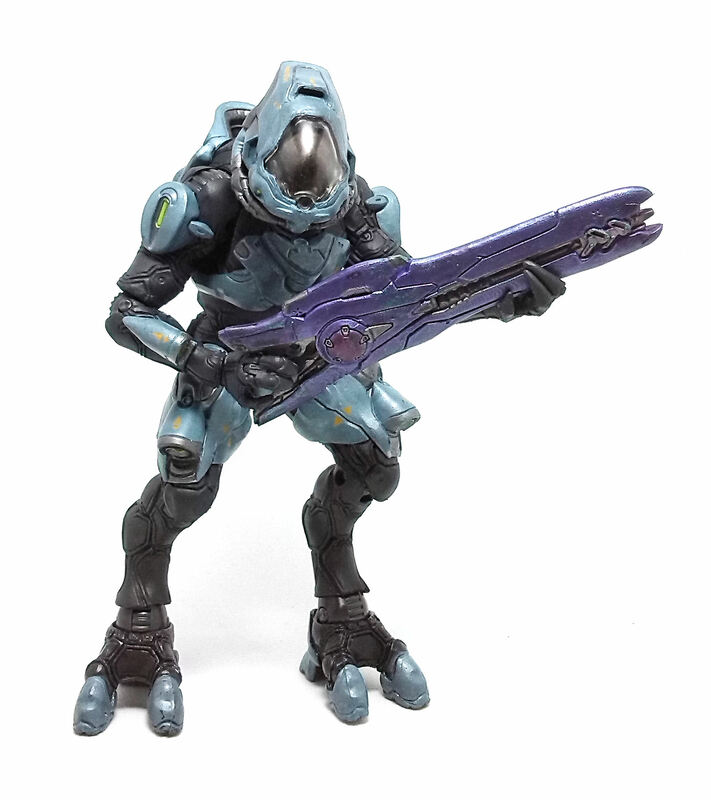 The Storm rifle is decorated in the characteristic metallic purple color used for most of the Covenant weapons. 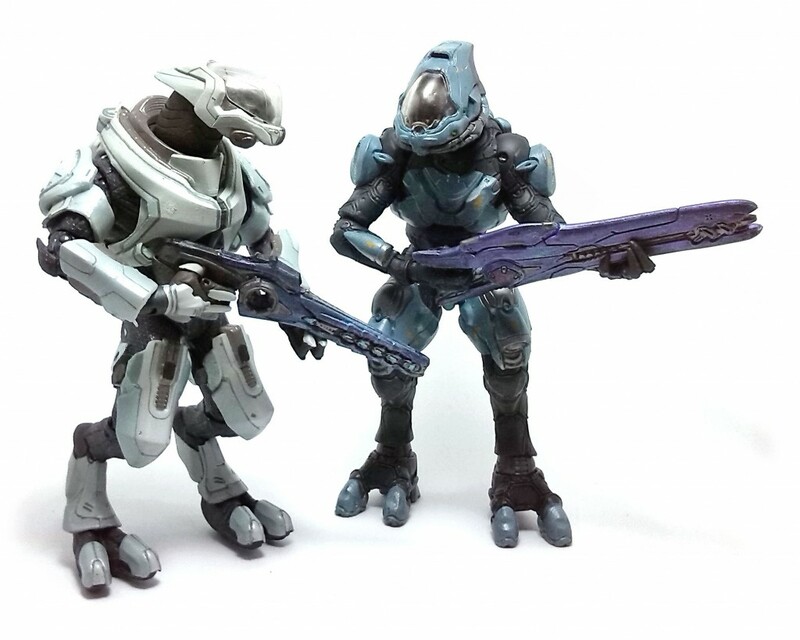 The one thing that has always bothered me about these Halo toys, and particularly about the Covenant weapons, is that these seem to be made focusing exclusively on how game-accurate they are, instead of being designed to actually work with the figure’s hands. The Elite Ranger can grab his weapon in a fairly convincing manner, but the handle of the rifle is not wide enough to properly accommodate the creature’s hand. Other than that, the Halo 4 Elite Ranger is certainly among the best figures produced by McFarlane Toys for this line.